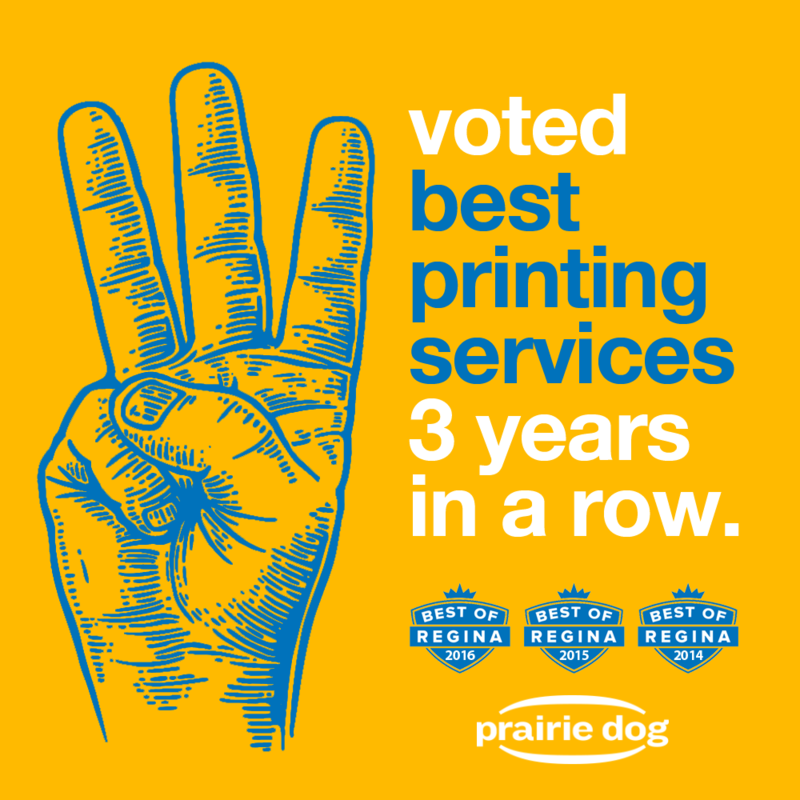 FloPrint.com voted 'Best Printing Services' in Regina, 3rd year in a row! Home / Blog / Voted "Best Printing Services" in Regina, 3rd year in a row! We are super stoked to announce that we won the "Best Printing Services" category in Prairie Dog Magazine's Best of Regina 2016 reader poll. This is the third consecutive year we have won! "I’ve worked in print most of my adult life, but have never actually seen the inside of any of the plants that have taken the words I’ve typed on my computer and turned them into a flesh and blood — okay, that’s a little too melodramatic. It’s not like the magazine I end up holding in my hands at the end of the whole process is alive. But it does have a tangible presence that words and pictures on a screen lack (no offense to our online readership). Only a handful of western Canadian companies print on the scale we require at Prairie Dog, but for our voters Floprint is their go-to shop for custom-printed T-shirts, jerseys, decals, stickers, signs, posters and other personal and professional print needs." Thanks to everyone who voted for us! We feel very honoured. Here's a list of all the 2016 winners.